If there’s any doubt that the Mi 8 Lite is coming to the Philippines, just check out Xiaomi’s most recent posts on social media at the time of publishing this article. First, Xiaomi Philippines updated its Facebook cover photo with an image highlighting the selfie capabilities of the smartphone. Then the company announced that it’s looking for fans who will get the device for free. 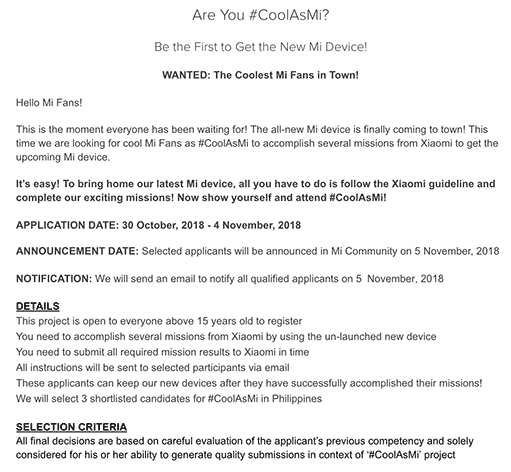 Xiaomi Mi 8 Lite’s #CoolAsMi Challenge mechanics. Other contest details can be found here. 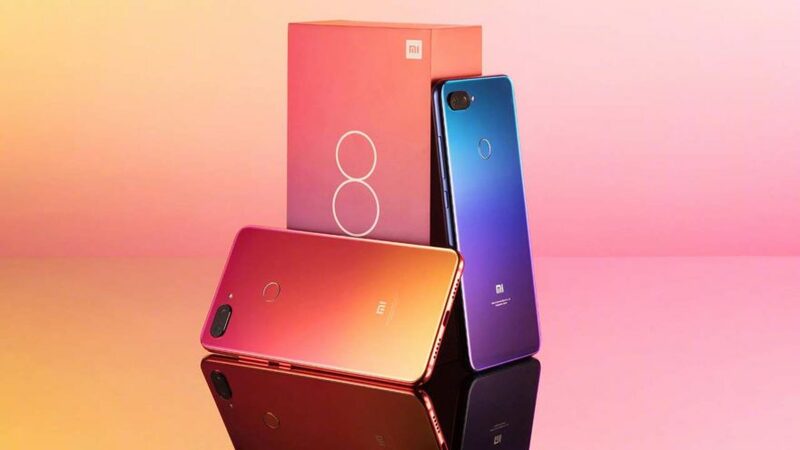 While there was no mention of the Xiaomi Mi 8 Lite in the post above, the smartphone featured in the image is unequivocally a Mi 8 Lite, with colors even showing two of the three shades available for the handset: Twilight Gold and Dream Blue. The two updates confirm what we suspected when Xiaomi regional director for Southeast Asia John Chen revealed that the phone he’s holding in the pictures below is coming soon. At the time, we weren’t sure where exactly in Southeast Asia the Mi 8 Lite is going to be released. At least now we know that the Philippines is one of them. The Xiaomi Mi 8 Lite shares the same glass-bodied look of the higher-end Xiaomi Mi 8 Pro. However, it features a rear-mounted fingerprint sensor instead of an in-screen one. It also has narrower bezels, a slimmer profile, and a notch that houses a 24-megapixel selfie camera. As with other Mi phones, it launches with powerful specs and features for their price points. In China, the base model with 4GB RAM and 64GB storage is priced at ¥1,399 (around P11,018 or $204). The 6GB/64GB version is selling at ¥1,699 (P13,381 or $248) while the 6GB/128GB variant costs ¥1,999 (P15,744 or $292) for the 6GB RAM and 128GB storage model.